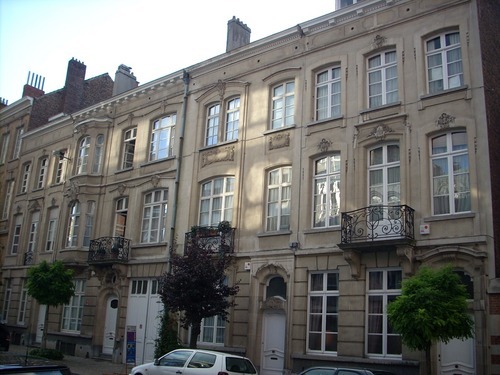 The first Belgian nursing school – the École belge d’infirmières diplômées - was founded in 1907 by celebrated surgeon Antoine Depage with the help of his wife Marie Picard, a nurse whom he married in 1893. The direction of the School was entrusted to English nurse Edith Cavell1. 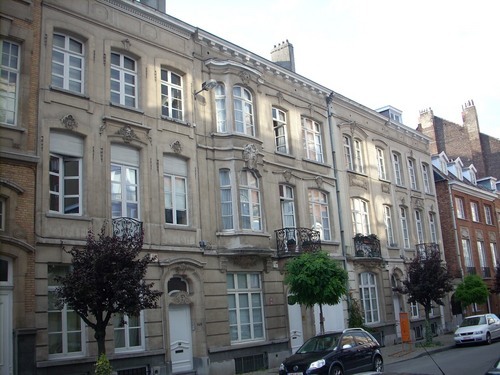 The first seat of the School was located in a row of four houses in Rue de la Culture (now Rue Franz Merjay). Recently (august 2009), I’ve tried to find them with the help of an old photo (the first published in this page)2. Even if the facades of the houses have been deeply rearranged, I suppose the four houses are those at the numbers 143-149 of Rue Franz Merjay (second and third photo in this page), because windows and doors have very similar position and shape. "In 1914, a new clinic with 22 rooms was built at the corner of Rue Edith Cavell and Rue Marie Depage, along with a school and a home for nurses. (…) The original 1914 buildings were demolished in 1971 and the hospital embarked on a modernisation programme, leading in 1974 to the opening of the New Cavell in Rue Edith Cavell"3. Please help us to verify this statement! 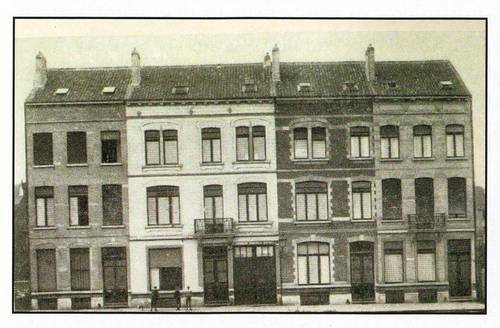 Please help us to verify this statement: are those the same houses which hosted the first Belgian school of Nursing? 1. See W.F.Bynum and Helen Bynum, Dictionary of medical biography, Greenwood Press, Westport (CT) 2007, vol. 2, p.409. 2. Retrieved from A.Joiris, De la vocation à la reconnaissance. Les infirmières hospitalières 1789-1970, Socrate Editions Promarex, s.i.l. [but Belgium] 2009, p.128. 3. From CHIREC Official website.